Appraisals arrived 0.5 percent below what was expected by homeowners in December, according to the latest Quicken Loans’ National Home Price Perception Index (HPPI). The latest Quicken Loans National Home Value Index (HVI) shows appraised values rose 6.17 percent year-over-year. Although the average appraisal continues to lag homeowner estimates, the gap between the two numbers was narrower in December than it has been since March 2015. The current narrowing trend is in its seventh straight month. While perceptions vary between metro areas, they are improving at the metro level. 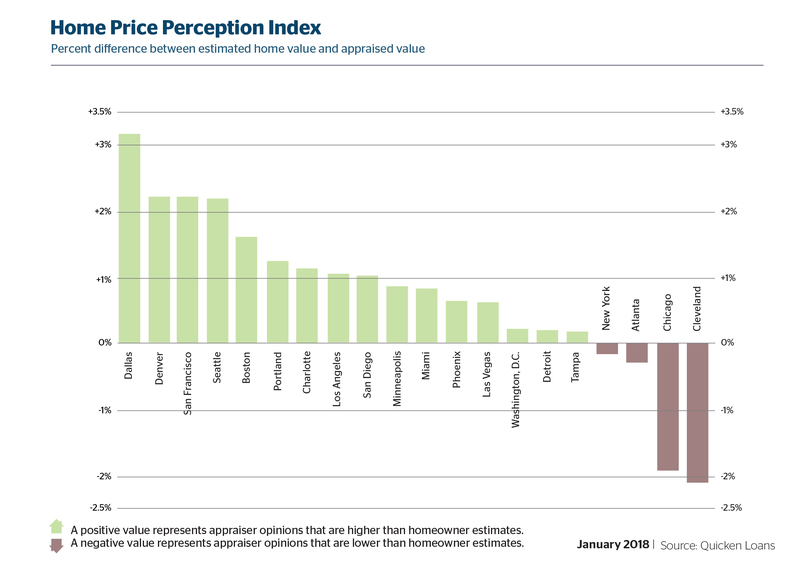 A negative value, which indicates that appraiser opinions are lower than homeowner perceptions, was only indicated in a quarter of metro areas measured by the HPPI. 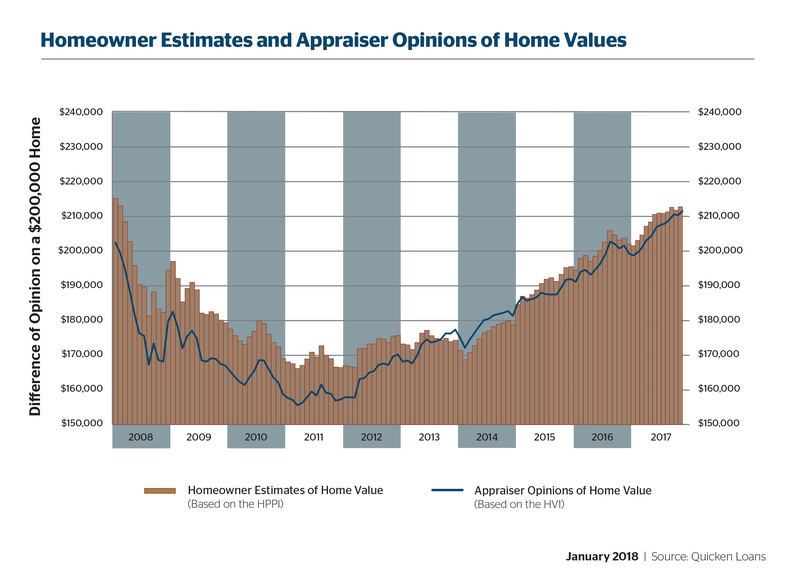 The HVI, the only measure of home value change based solely on appraisal data, showed promising growth. Values rose 0.5 percent from November to December, and 2017 ended on a strong note, with the HVI rising 6.54 percent from January to December. The Northeast is the only region to show a monthly dip in value, but all regions reported annual growth—topping out with a 7.42 percent jump in the West. The post Appraisals Arrive Below Expected, but Not by Much appeared first on RISMedia.